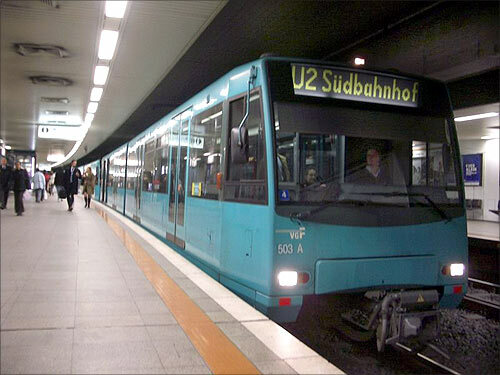 The U-Bahn, together with the S-Bahn form the backbone of the public transport system in Frankfurt. Opened in 1968, U-Bahn consists of 87 stations on nine lines, which have a total length of 65 km. About 59 per cent of the total track length is underground.